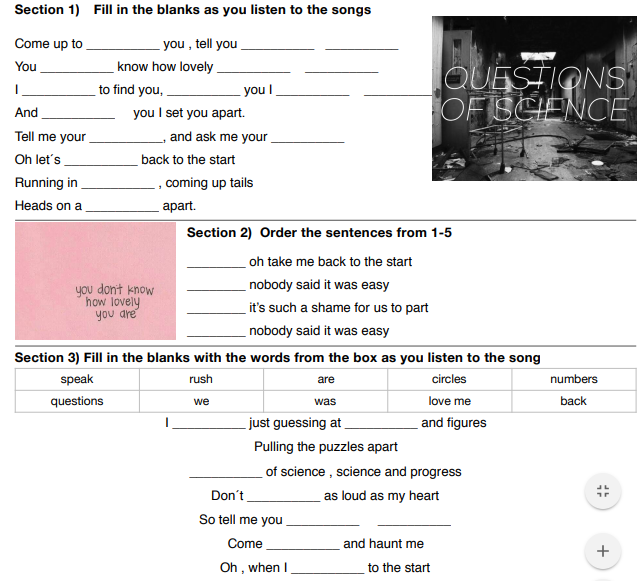 This a listening exercise for elementary students using The Scientist by Coldplay. 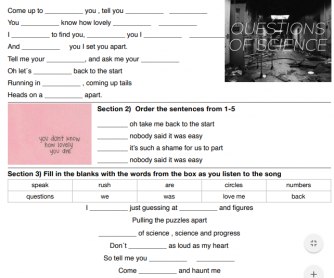 Students have to do different exercises in order to complete the song. I have found this song very appealing to my students as it has a slow rhythm and they can sing it out loud. I hope it is useful for you as it has been for me.